This installment of WOTW features some work we’re very proud of. These examples represent partnerships with three solid organizations that we worked with together to provide three distinct creative solutions for three unique opportunities. For this first project (and for the third year in a row), we partnered with Northwestern University in Qatar (NUQ) to create an interactive microsite for their Media Use in the Middle East survey. Primarily developed for an academic audience, the hallmark of this site (the visualized survey results) reflects a good example of an exploratory data visualization—one that invites users to “choose your own story” so to speak, rather than following a singular, prescribed narrative. Each year, we look forward to collaborating on this survey because of Northwestern’s willingness to try new things and because it’s always a fun challenge to work with more than 5 million cells of data. But don’t take our word for it; have a look for yourself here. 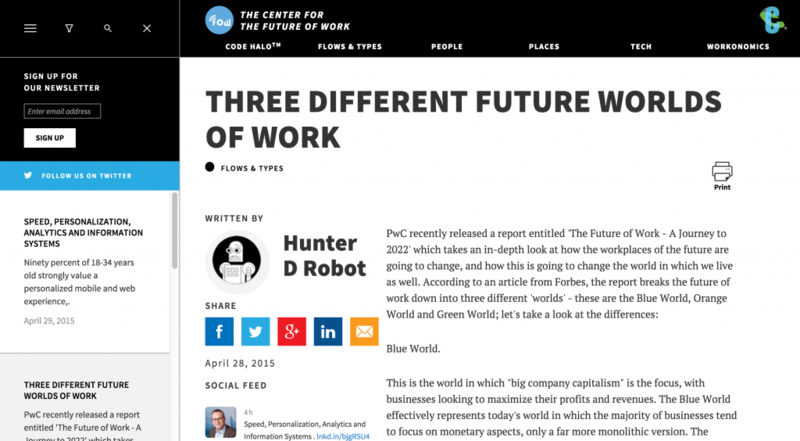 Next, we had the pleasure of teaming up with Cognizant to create their brand publication, Future of Work. As a studio, we’re starting to do more and more of this type of work, and it’s always a pleasure to work with organizations that understand the value of creating a hub for their highly editorial content. (To see what ours looks like, take a look at Visual News.) Full of sage advice from their network of thought leaders, the Future of Work site features some really solid content, which the Cognizant team has been working hard to produce for the last several months. So, if you want to learn more about what’s changing in enterprise, innovation, and the modern workplace, be sure to bookmark this site. Thirdly, we recently partnered with our good friends at RSVLTS to redesign their publication from the ground up. If you’re a male between the ages of 18–34 and haven’t yet seen this site, then you’re missing out. 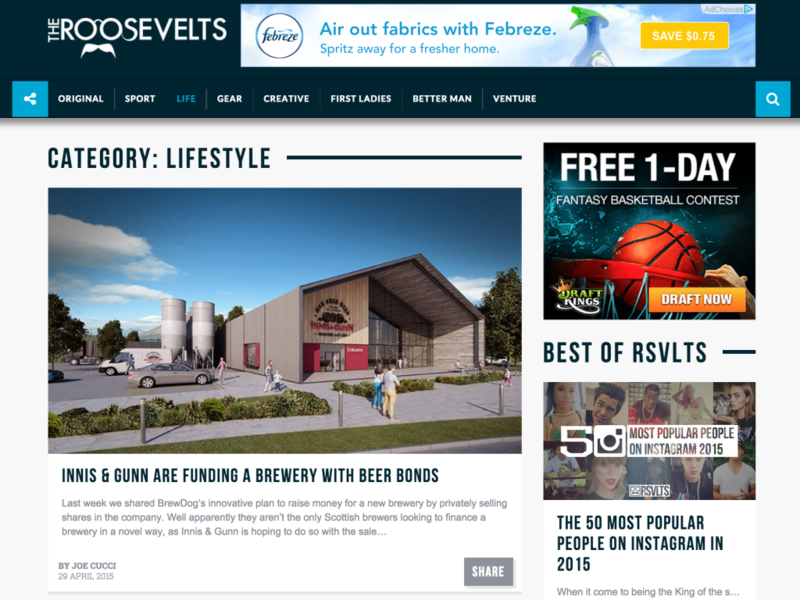 Having been around for a few years, RSVLTS has developed a great men’s lifestyle publication that constantly releases a steady stream of original and curated content on topics ranging from travel, sports, gear, and more. We spent a long time working on this redesign, and we’re thrilled with the final product—which we think looks great across all devices: tablet, mobile, and of course desktop.